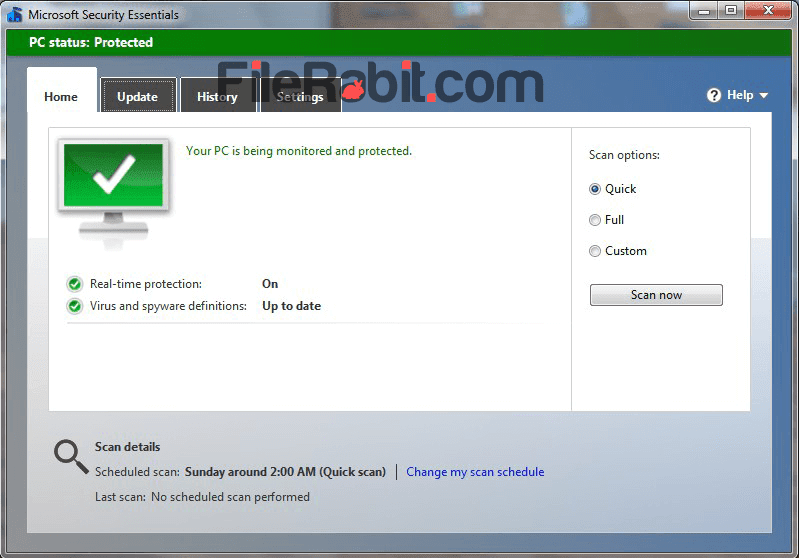 Microsoft Security Essentials can keep your PC away from malware, spyware and viruses. It’s a simple, light and powerful program to detect and remove infections immediately. It offers complete and real-time protection with guarding your files, information and privacy as well. A simple, tiny, easy to install and easy to use antivirus software that consumes very less system resources. The notable point is that MS Security essentials is completely free and didn’t require any price. A simple green mark shows that everything is safe but a red sign shows something goes wrong. It doesn’t allows any advertisement nor notifications that will interrupt user interface. However, the scanning is more advanced which support custom, quick and full system scanning. Its windows based security program designed but its only working with Windows XP, Windows Vista and Windows 7 as well. The later version operating systems e.g. Windows 8, Windows 8.1 and Windows 10 should use Windows defender to protect PC from suspicious threats. The developer team has assured this program is rich with latest technology which can cover your system alongwith privacy protection. The internet is filled with worms, viruses, malware, spyware, adware and other suspicious tools nowadays. 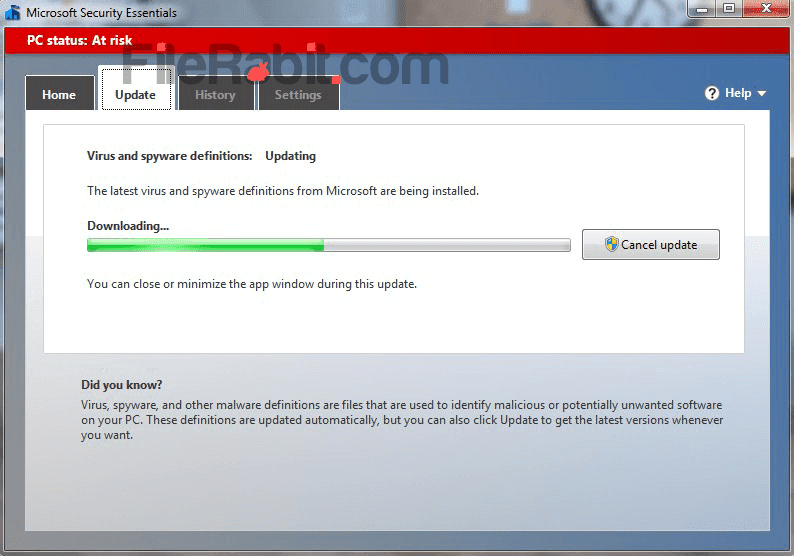 Microsoft security essentials is best program for small business and home PC’s. 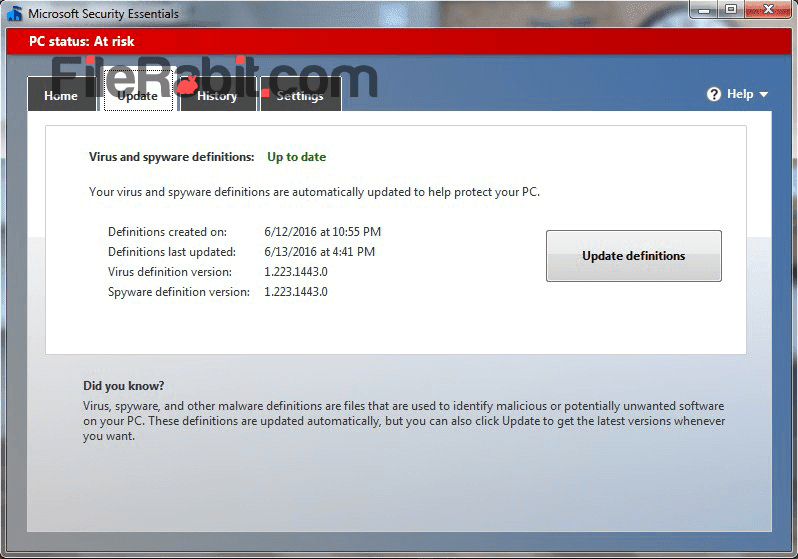 As you may know about Microsoft Malicious Software Removal and Windows Defender that both were enhanced with same technology. Find suspicious programs e.g. keyloggers, seekers etc.